So far, only one spacecraft has ever captured an image of Uranus: NASA’s Voyager 2 spacecraft. So let’s take a look at some pictures of Uranus, some captured by Voyager 2, and others seen from Hubble, and even here on the ground. This is the classic image of Uranus, taken by NASA’s Voyager 2 spacecraft during its 1986 flyby of Uranus. During this mission, Voyager 2 came within 81,500 kilometers of the cloudtops of Uranus. 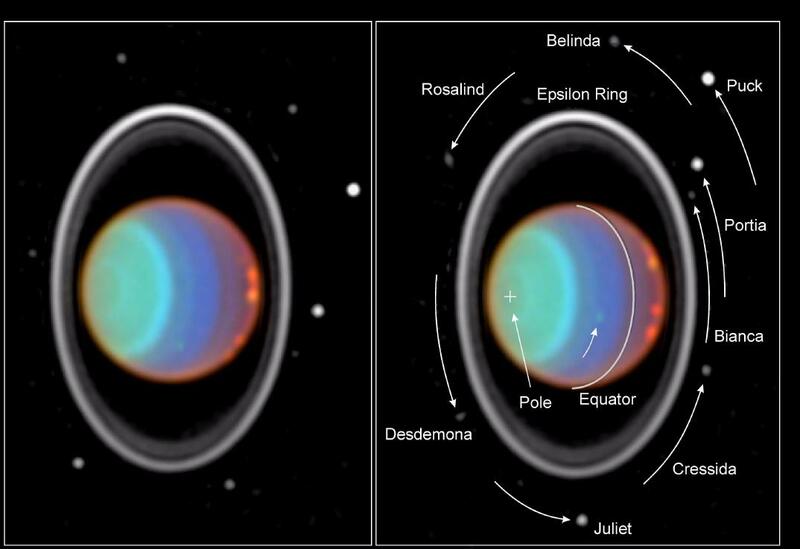 Until then, the best pictures of Uranus came from telescopes on Earth. Nothing compared to the pictures of Uranus sent back by Voyager 2. This beautiful picture of Uranus might look like it was captured by a space telescope, but it was actually taken from the powerful Keck telescope located on Hawaii’s Mauna Kea. This image shows Uranus in the infrared spectrum, which reveals the detailed cloud patterns in the atmosphere of the planet. 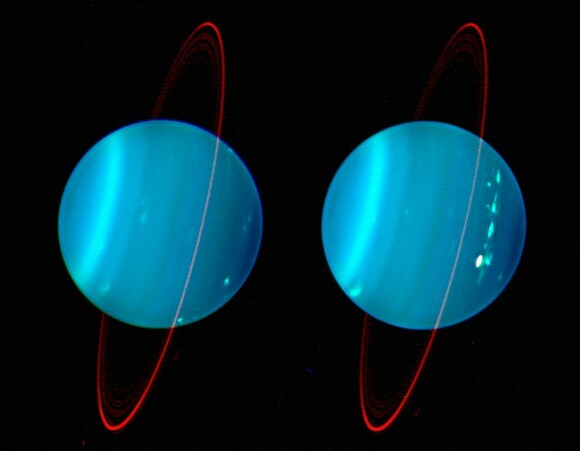 This Uranus pic was captured by the Hubble Space Telescope. On the left is the image itself, and then on the right are the names of all the moons captured in this photograph of Uranus. 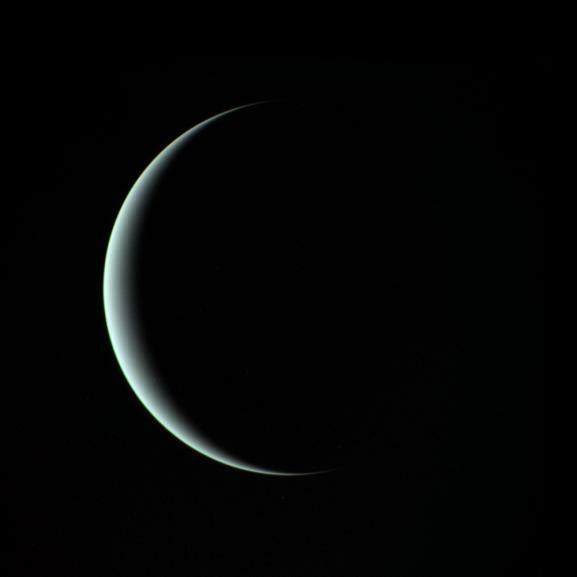 This beautiful image of Uranus was captured by NASA’s Voyager 2 spacecraft curing its 1986 flyby of the planet. It was actually three images captured at different wavelengths and then combined on computer. Like these pictures of Uranus? Here are some images of Pluto, and photographs of the Sun.